Welcome to the next English-language edition of Beautyjagd! This is a condensed version of the most important articles that have appeared on my blog over the last few weeks. 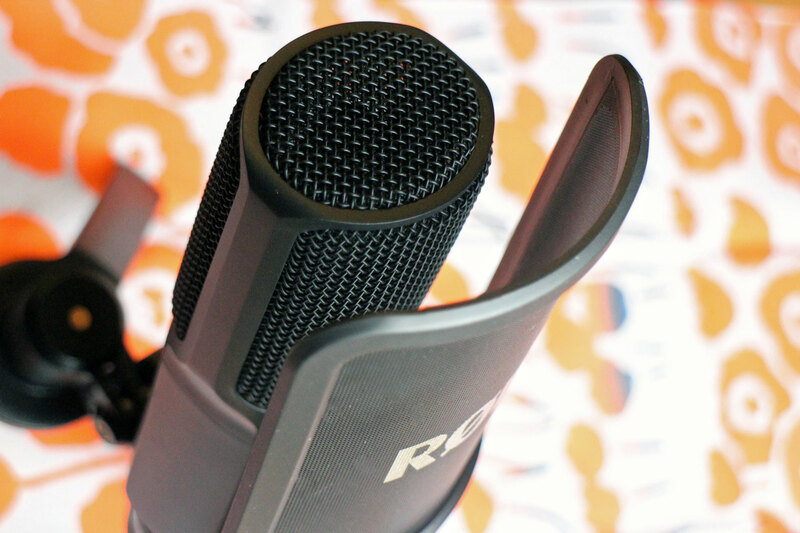 For more information about this format, click here. And now: enjoy the best of Beautyjagd in English! 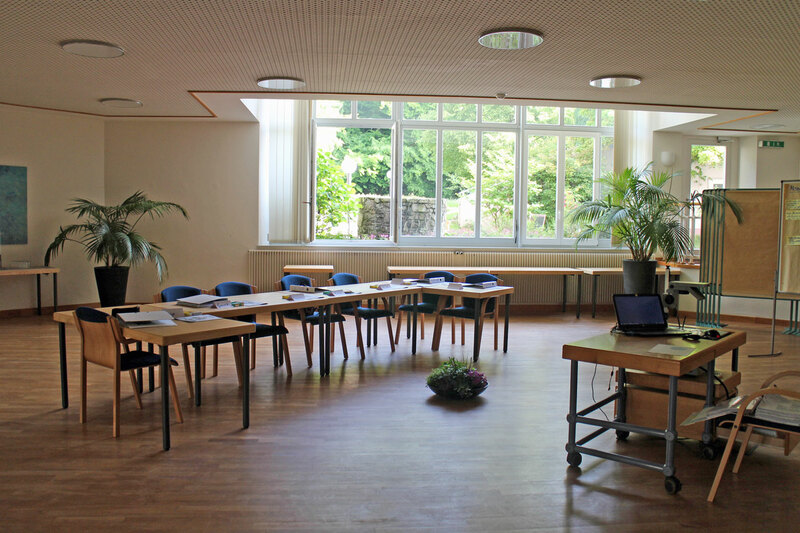 In cooperation with the Akademie Gesundes Leben of the foundation Stiftung Reformhaus-Fachakademie // At the end of May I spent a week in the town of Oberursel in the Taunus region of Germany. Right on the border of the town (and on the edge of the forest) is the Akademie Gesundes Leben (Academy Healthy Life) of the Reformhaus-Fachakademie foundation. 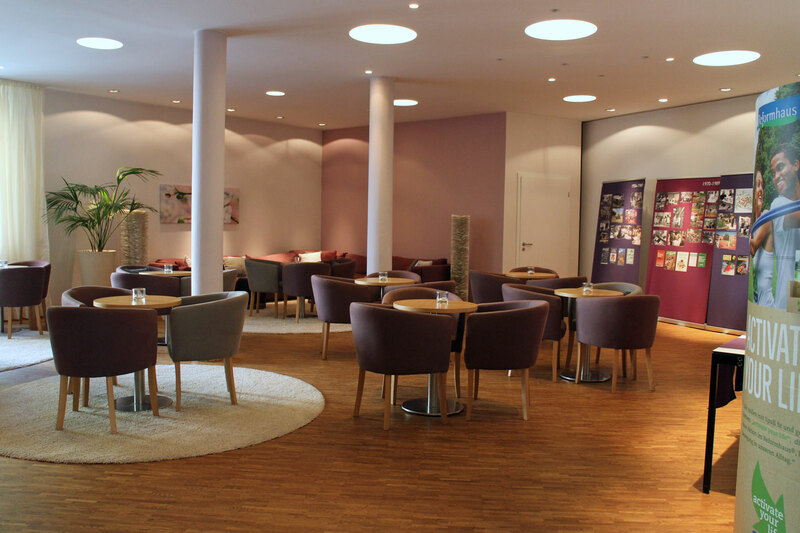 This academy – which is run by the Reformhaus® association (for more information about German Reformhaus® stores and the concept behind them check out this article here) – not only offers further training and other educational courses for Reformhaus® staff but is also open to private individuals. Anyone who is interested in the topics covered by the academy can book a course. I took part in the 1-week Organic Beauty Consultant seminar which is mandatory for anyone working in a Reformhaus® store. This seminar aims to increase the participants‘ knowledge about organic beauty brands and products, teaching them how to recognise different skin types, select suitable products and use these products correctly. Finding a compact training module on the topic of organic beauty isn’t easy – you can, of course, enroll in a training course as a beautician or study cosmetic technology but these programmes tend to focus on conventional cosmetics rather than organic products. 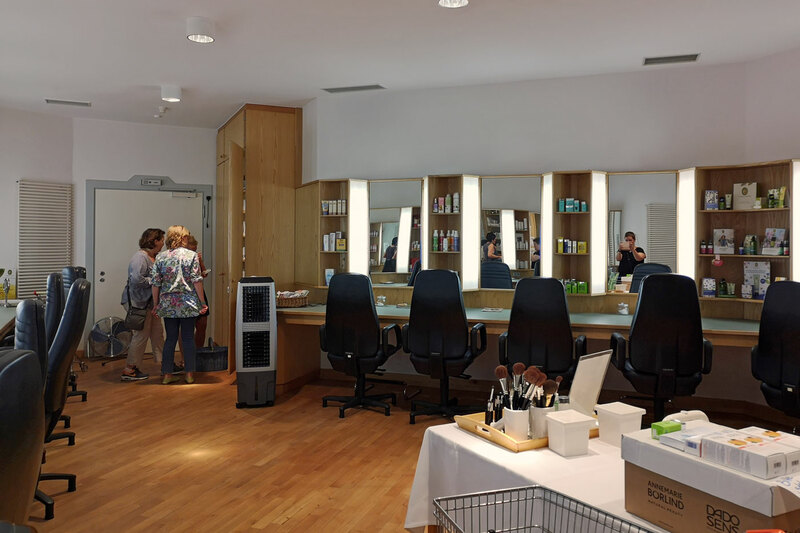 Up until the end of last year I had never even heard of the Akademie Gesundes Leben, so I was very interested when the Reformhaus® association contacted me with an offer to take part in the organic beauty seminar and write an article about it on Beautyjagd. On the picture above you can see a part of the large and sustainably-built complex which houses the academy. It includes hotel rooms where the participants are staying in. The seminar began on a Sunday afternoon. It was interesting to meet the other participants in our small group (we were around 7 people). Everyone had a different background – some were students or just starting out on their career, other were already working in the organic industry or in health food stores. We also had a trained chemist amongst us and then there was me, an organic beauty blogger. Unsurprisingly our previous knowledge of organic beauty was also at different levels – some people already knew their way around this area, others were completely new to the industry. Our seminar leader, Claudia Taron, is a trained organic beauty cosmetician who has been teaching at the academy since 2002. After giving us a warm welcome she presented a compact overview of the organic beauty market which accounts for around 10% of Germany’s entire cosmetics market. Dr. Hauschka, Annemarie Börlind, Weleda, Lavera and drugstore retailer DM’s organic own label brand Alverde are amongst the best-known organic brands in Germany. Claudia also highlighted some of the current trends in the organic beauty market, like beard care or men’s beauty, vegan cosmetics, DIY products or pro-biotic cosmetics. 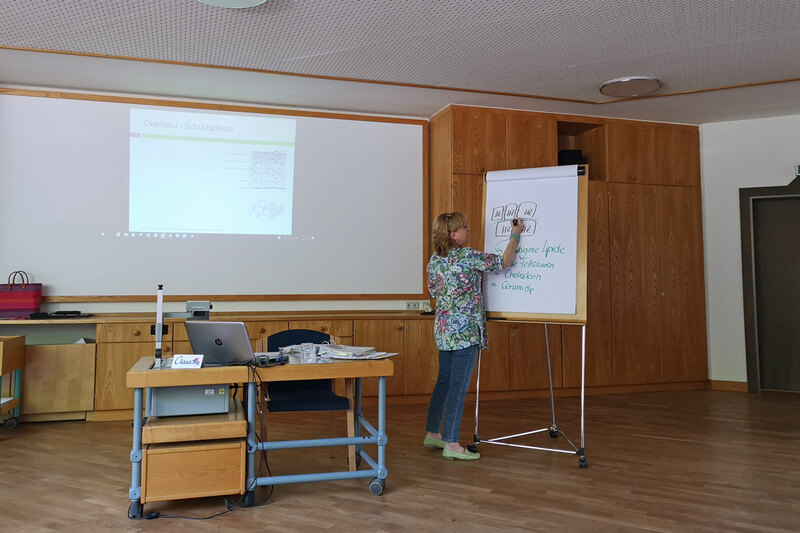 In the next course unit Claudia introduced us to the different organic certification seals that exist in Germany (like BDIH/Cosmos, Natrue or Demeter) – these seals distinguish organic cosmetics from conventional beauty products. We also looked at ingredients that are not allowed in certified organic beauty, such as silicones, certain preservatives, paraffin or micro plastic. After so much theoretical knowledge each participant received a fragranced paper strip which was scented with citrus or peppermint – it was really hot that week so we used these scented papers as improvised fans 😉 . 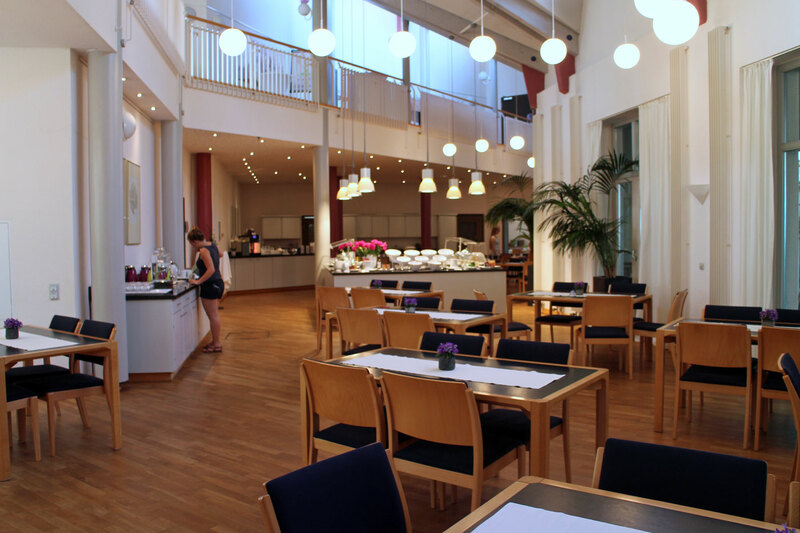 On the photo above you can see the restaurant of the academy which serves organic vegetarian food, including a salad bar, beverages and desserts. Each seminar group sits at the same table so there was plenty of opportunity to chat and get to know the other participants. In the evening I took a small walk in the woods and then enjoyed the peace and quiet of the summer evening on my balcony. 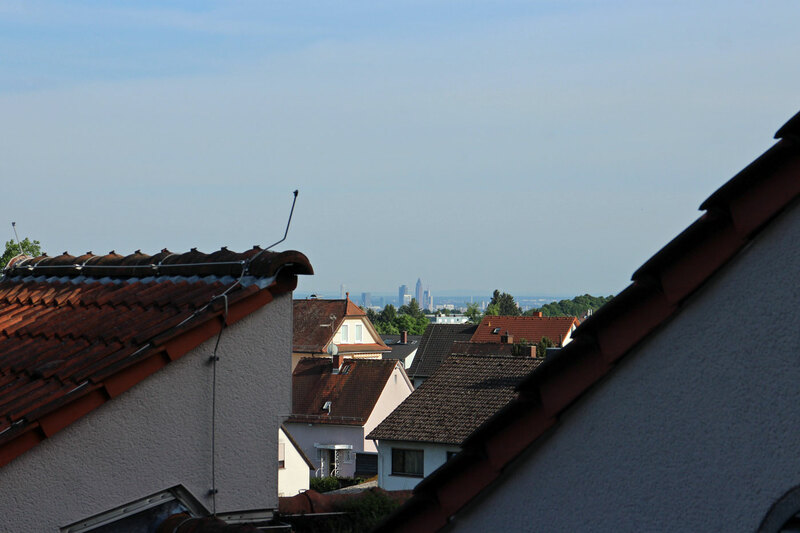 There was bird song and the smell of the forest and yet, when I stood on tiptoe, I could see the urban Frankfurt skyline on the horizon – a fascinating contrast. The next morning things turned dermatological: Claudia explained to us the structure of the human skin with its three layers and told us about the function of the skin’s acid barrier. She also talked about the natural moisturising factors that are contained in the skin (and in beauty products), about skin ageing and about emotional or psychological states that can influence the state of the skin. And then we started on our first practical exercise: determining different skin types and skin conditions. Whilst some skin types such as dry skin or oily skin can have genetic origins, other skin conditions are temporary. Claudia gave us some practical tips on how to recognise various skin types and then we tested our new knowledge on the person sitting next to us. 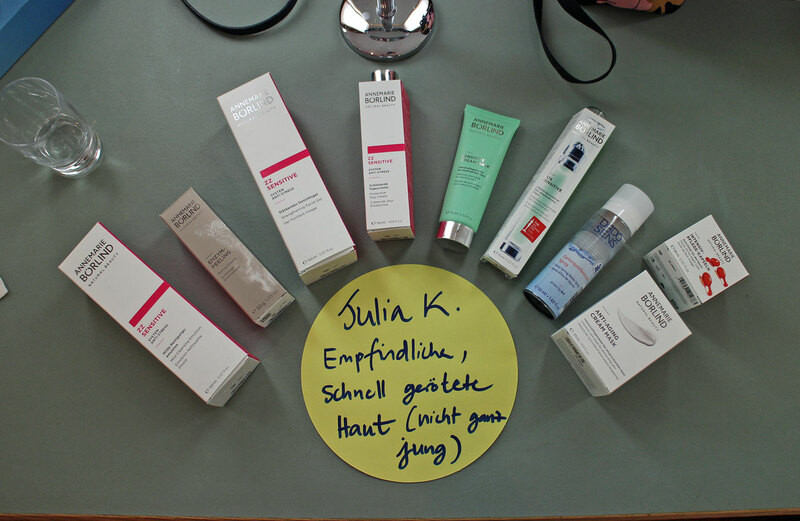 In the next training unit we were introduced to the biggest organic beauty brands in Germany. Every participant was allocated one brand to present to the others in the group. Our seminar room had a fully stocked cosmetic studio attached to it so we all received a shopping basket and then selected the appropriate products for our brand presentations. A good idea: this gave us the opportunity to explore different brand philosophies and also allowed us to try out a range of new products. 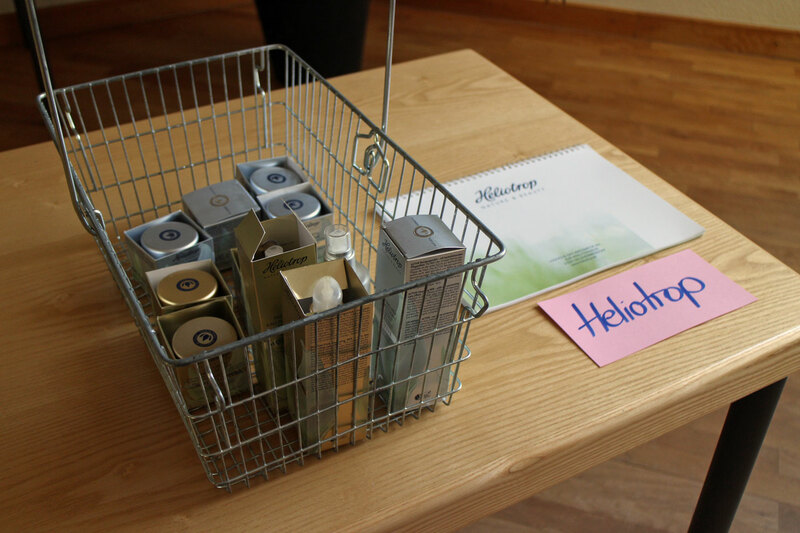 I selected traditional beauty brand Heliotrop as „my“ brand – I knew Heliotrop by name but wasn’t that familiar with the company’s product portfolio. And I was surprised to discover some interesting products, like the tenside free cleansing milk from the MultiActive range. The other seminar participants introduced brands such as Dr. Hauschka, Annemarie Börlind, Dadosens, Santaverde or Arya Laya. Our first presentation! The next day was dedicated to the different product categories: in small groups we tested products from categories such as cleansing, toners or creams. It was interesting to try out so many different products and learn about which products are suitable for what skin type – after all, the key is to achieve a balance between lipids and moisture and each skin type, whether permanent or temporary, needs a different combination of ingredients to balance it out. At the end of this seminar unit Claudia presented a range of individual ingredients, like fatty plant oils and essential oils. There was also a „blind test“ where we tried to distinguish different oils by smell – including a non-organic baby baby oil which we almost didn’t recognise as an „intruder“ 😉 . Later on we also discussed other active ingredients in organic beauty, like hyaluronic acid, ceramide or liposomes. 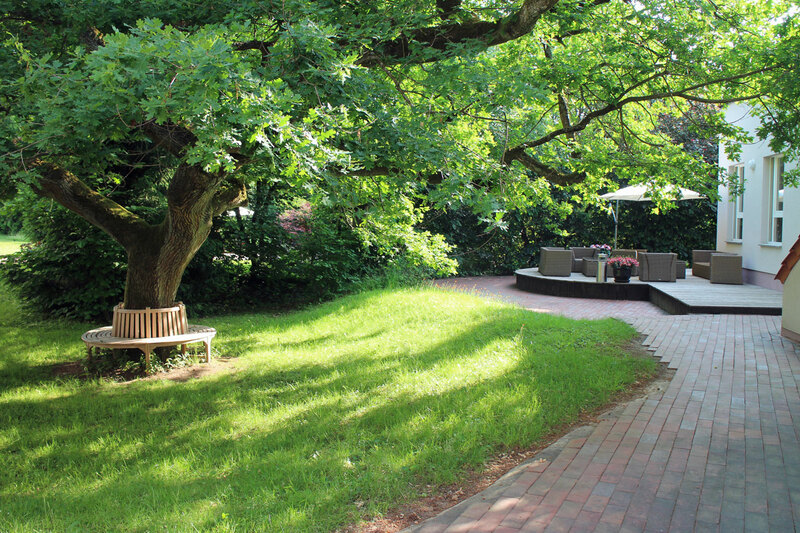 The academy is set into the middle of a nice garden – we could walk around it in the morning, at lunch time or in the evening. The hotel area also offered a gym and there were different fitness options every day, like sauna visits or yoga. The Kneipp pool in the garden was also very popular (the weather was really warm that week)! 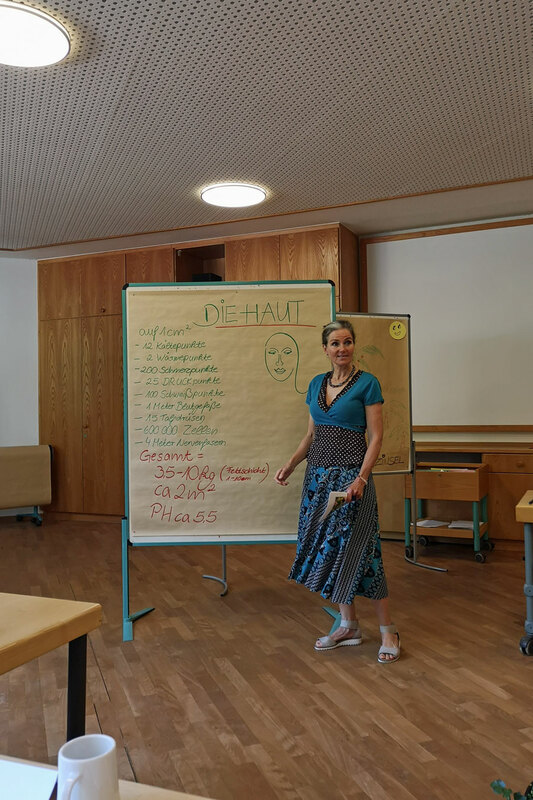 On the fourth day Corinna Hauth took over the seminar. Corinna is a trained organic beauty consultant who has been working in the industry for decades. On the picture above you can see her explaining to us the connection between kidneys, lymph and the skin. Redness and impurities are often caused by things happening within the body which then show up on the surface, so to speak. Special products like serums or masks can help with skin problems such as couperose or acne. The next day we continued with practical exercises. The group was divided into pairs of two: we each diagnosed our partner’s individual skin type using various tests and then compiled a suitable skin care routine. The results of our analysis were then presented to the rest of the group – it was interesting to see such a wide range of skin conditions and learn about which skin care routines are suitable for these different skin types. Since my own skin is prone to recurring redness at the moment my partner drew up a routine for sensitive skin with products from Annemarie Börlind – see picture above. All of us then tried out the entire skin care routine on ourselves, with all the different steps: removing our makeup, cleansing the skin, use a peel or scrub, hydrate with a toner, apply a mask and serum and then face cream and eye care as a final step. Then we moved on to colour cosmetics. Corinna introduced the different makeup categories, from foundations with lighter or stronger coverage over powder and blushers all the way to eye and lip makeup. Every participant was then made up by Corinna. 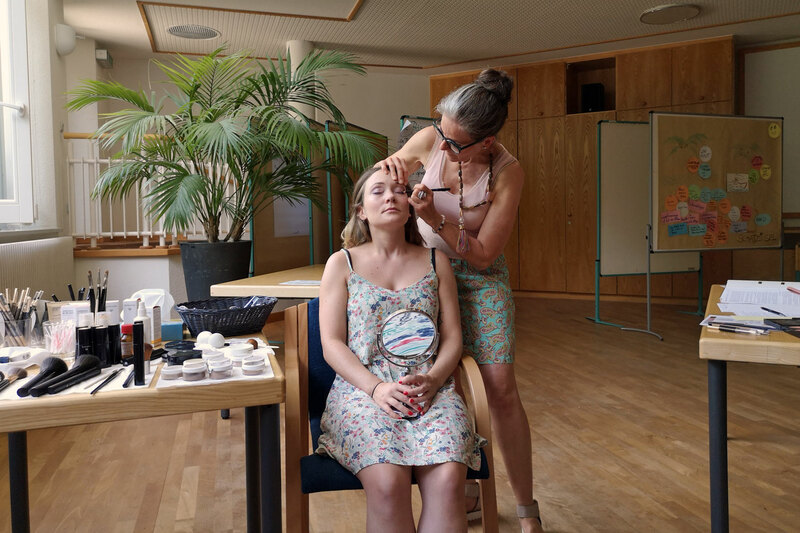 While she was working Corinna gave us practical tips on how to apply eye makeup on drooping eyelids, how to hide couperose or how to style eyebrows. Towards the end of the day we learned about organic sun care products, hair care and body care whilst enjoying a relaxing foot bath in the sauna facilities of the academy. And then the last day of the seminar had come and with it our final presentation! Exciting! 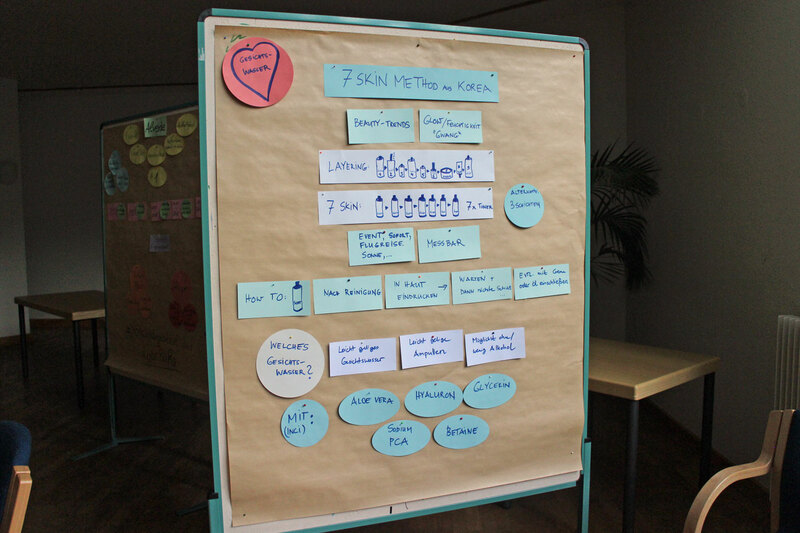 Every participant selected a specific topic for their presentation – a certain product category, an organic beauty company or a skin care topic. I decided to present the Korean „7 Skin Method“ in order to demonstrate how important hydration is for the skin. You can see my presentation in the picture above; I had selected suitable products from various Reformhaus® beauty brands. Other participants spoke about individual products, like the black mask from Annemarie Börlind or the antioxidant Xingu range from aloe vera brand Santaverde. And that was the end of the training course! In the academy lounge we toasted the successful conclusion of the seminar with a glass of champagne – and we all wished that there was a sequel to the seminar. I’ve been a professional organic beauty blogger for over six years now but I must admit that I’ve never spent such an intensive week on the basics – the nuts and bolts – of organic beauty. Of course I already had a certain level of knowledge but I still discovered some interesting new products and beauty brands. And I have great respect for those seminar participants that were entirely new to organic cosmetics: they received a lot of knowledge and all the tools necessary to explore the world of organic beauty for themselves. During the seminar week I also realised yet again how much organic beauty – and beauty in general – is creating connections between people. Beauty is often seen as something superficial but this really isn’t true: the concept of beauty embraces scientific aspects, human health and societal structures. And cosmetic products – which are, after all, applied on the skin – literally touch people. And if you’ve ever asked yourself whether organic beauty works: it does! It was particularly visible in those participants who were using a suitable skin care routine for the very first time in their life (we were allowed to take „our“ products to our rooms and use them in the morning and evening): their skin looked so much better, more hydrated and glowing than before. It was fascinating to see the difference that a consequent skin care routine can make in one single week. 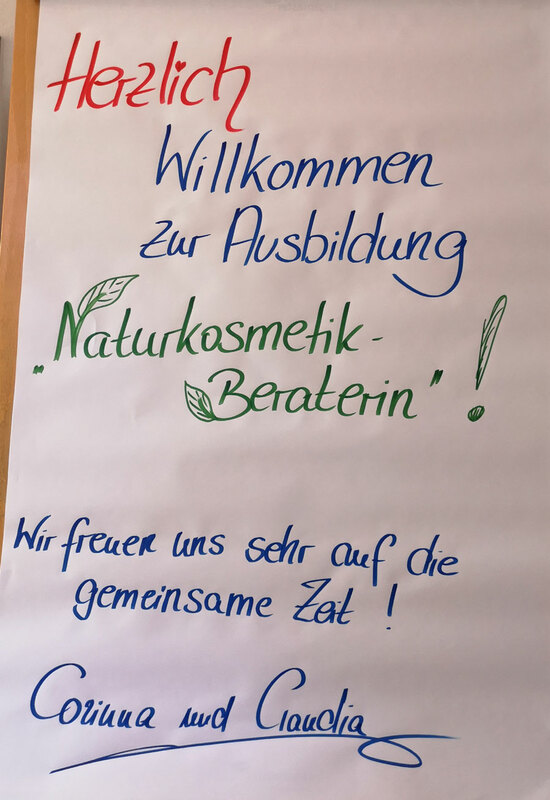 If you want to find out more about the organic beauty seminar check out the website of the Akademie Gesundes Leben in Oberursel (German only, sorry). Or visit your local Reformhaus® for more information on organic cosmetics. In cooperation with Cattier Paris // When I visited the exhibition booth of French organic beauty brand Cattier Paris at Vivaness this year, Ebba Fürll (head of training at Cattier) and me started chatting about skin care during menopause. 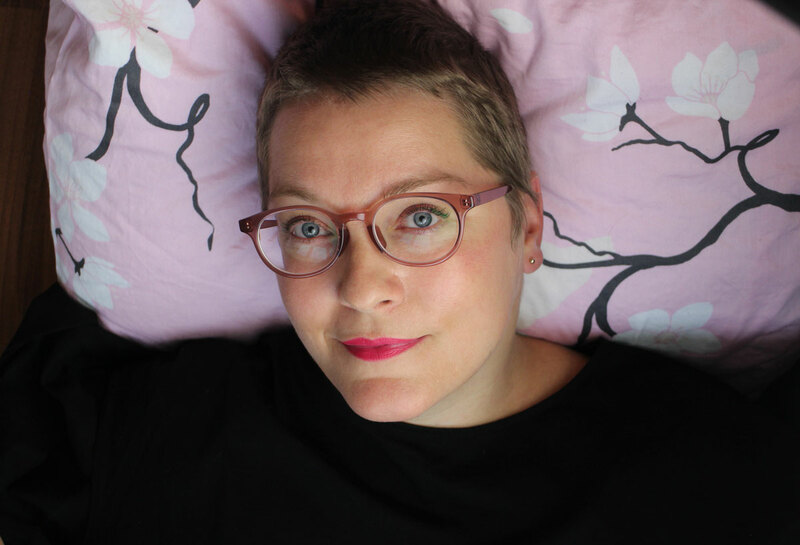 And this gave me the idea to publish an article about this topic on Beautyjagd – sharing Ebba’s tips – because I know that many of my readers are aged 40+. During the interview with Ebba I realised again that of course there is no single skin type when you are entering menopause or you‘re in your late 40s: some women’s skin is becoming more dry so they need richer skin care while other women experience increased oilyness because of the hormonal changes in their bodies. In this case you need ingredients that calm down the skin and add moisture rather than lipids – and the cooling effect helps when you’re suffering from hot flushes. In this article I will introduce several skin care concepts that are suitable for different menopausal skin types. Cattier is offering two product ranges for this: a richer anti-ageing line and a more soothing range which has lighter textures. Ebba emphasised that it is totally fine to mix and match products from both ranges depending on what your skin needs – I’ll show you how to do that in the next paragraph. Ebba uses her favourite Cattier products in different combinations. On the photo at the top you can see the moisturising products in her skin care routine: toner, serum and face mask. Quite compact, don’t you think? You can probably guess that her skin is oily and that she prefers cooling products. In the summer she likes to use light-textured products: she told me that she applies several layers of the Soothing Toner because it has such a pleasant cooling effect and also calms down the skin. If the weather is very warm the only additional skin care product she uses is the new Soothing Serum which she applies on top of the toner. Particularly interesting: Ebba uses the Smoothing Intensive Radiance Mask from Cattier as an anti-wrinkle eye care product – I’ll tell you more about this unusual application method further down the article! 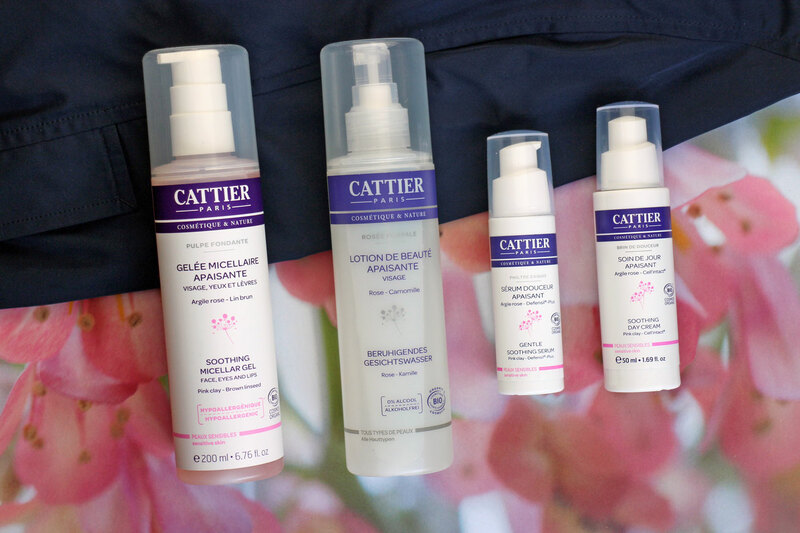 If you are suffering from hot flushes and facial redness you should check out the calming skin care line from Cattier: the key ingredient in all products is pink medicinal clay which is suitable for sensitive skin. Medicinal clay absorbs oil and dirt from the skin’s pores and at the same time mineralises the skin which increases hydration levels. It also has a cooling effect which is very pleasant when the skin is overheated because of a hot flush – the light textures also make the products in this range suitable for easily reddened skin. ♦ I use the Soothing Micellar Cleansing Gel Pulpe Fondante from Cattier Paris to remove my makeup: apply a small amount of the pink gel on a cotton wool pad and then gently wipe it across your eyelids. I like the cooling effect which is soothing when your skin is irritated. The cleansing gel contains the active ingredients complex Sensiline Bio which is based on brown linseed and leaves a very light protective layer on the skin. The product does not contain alcohol or fragrance, the subtle scent comes from the rose water that is included amongst the ingredients. The micellar gel removes my eyeshadow and non-waterproof mascara quickly and thoroughly. ♦ The next product after cleansing is the Soothing Facial Toner Rosée Florale von Cattier: You can apply it with a cotton wool pad and wipe it across the face or press the toner into the face with your hands. If you apply several layers you get a beautifully cooling and refreshing effect, the skin is visibly more hydrated. The toner – fragrance-free and alcohol-free – is based on rose water, glycerin, camomile water and calendula extract plus moisturising wheat proteins. The product scent is a very light blend of camomile and rose. DIY tip: If you want a stronger cooling effect, try a DIY sheet mask saturated with the Soothing Toner from Cattier – I take several cotton wool pads, spray the toner on them and then gently divide each pad into two thin layers which I place on cheeks and forehead for ten minutes. It’s so pleasant! ♦ A new launch this year was the Soothing Serum Philtre Exquis from Cattier which is a kind of SOS serum: it soothes redness and irritations. The serum feels hydrating; it leaves a very light yet non-greasy film on the skin. The active ingredients include blackcurrant, balloon plant, sunflower and linseed and help to minimise redness; an oligo saccharide strengthens the skin barrier. If you have oily skin the serum is moisturising enough as a day care product; in summer it is a good product when you’re suffering from hot flushes. ♦ However, if you prefer an additional layer of skin care try out the Soothing Day Cream Brin de Douceur from Cattier and apply it over the serum (or just on dry skin areas, like the cheeks). The day cream contains plant ingredients that help against redness and the formula was developed so it doesn’t sit heavily on the skin – even if you get a hot flush the heat won’t be trapped underneath the moisturiser, so you have a refreshing effect. The product also works well as a makeup base. 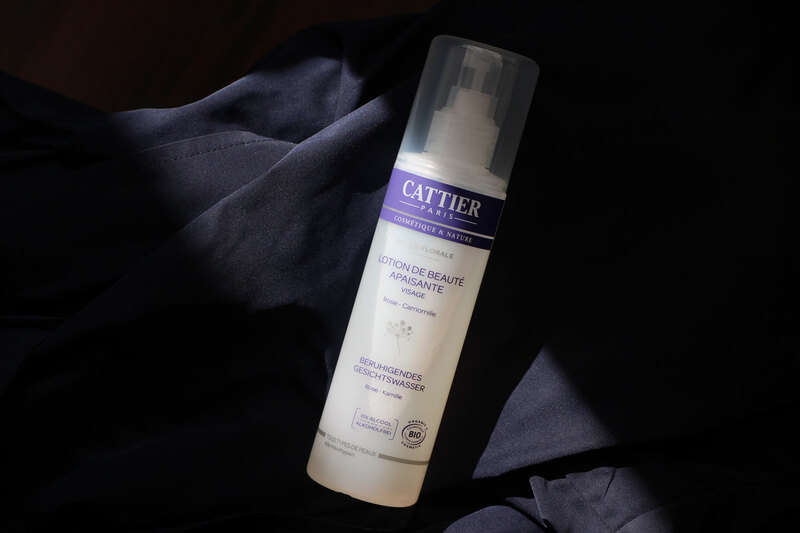 If you notice that your skin is becoming more dry the older you get, you should try out Cattier‘s anti-ageing range (which can be used from age 35+, by the way). The products in this range are protective and richer than the soothing line. They place the emphasis on hydration and lipids and also have a light draining effect on the skin – the hormonal changes during menopause can cause skin to retain more water. A good example for this is the Anti-Ageing Eye Care which contains a special red algae extract that helps boost microcirculation and decreases puffiness. ♦ Since dry skin can often look dull and matte the Revitalising Serum Sève Florale from Cattier gives a natural glow (completely without glimmer, by the way!). Ingredients include a protective combination of argan proteins and evening primrose oil as well as a range of hydrating ingredients (algae, glycerin and aloe vera). I like to use the serum as a moisturising layer when I wear sun creams. It is absorbed quickly and leave a very light non-greasy film on the skin – the texture is not too watery and has a protective effect. The serum has a very light floral fragrance. And in summer I use the Revitalising Serum as a night care product – it really is multi-functional. 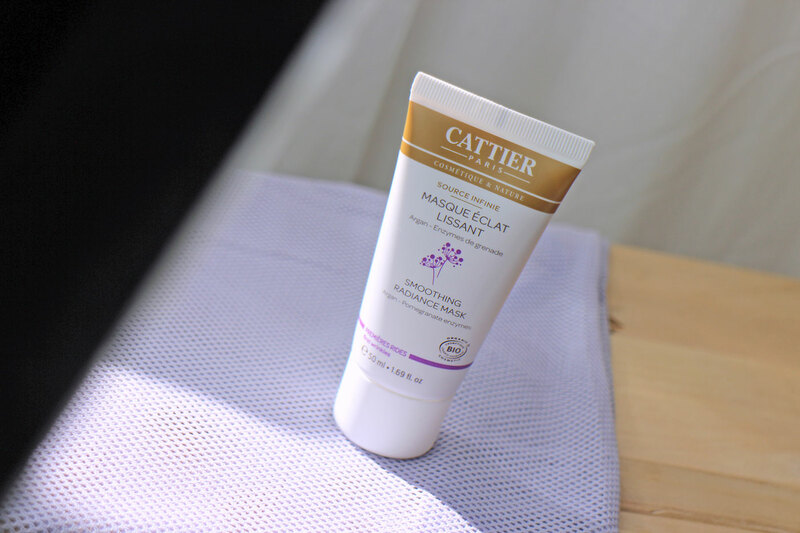 ♦ The Anti-Wrinkle Nectar Éternel from Cattier is richer than the Calming Day Cream but the texture is still beautifully smooth and non-greasy (comfortable product textures are very important to French beauty brands). The Nectar Éternel is based on processed plant oils as well as sunflower oil and coconut oil so it feels light on the skin. Argan oil helps to regenerate while organic sea fennel extract boosts cell regeneration and beech bud extract has an antioxidant effect. The cream is fragrance-free but has a light natural rose water scent. On my skin the Nectar cream is absorbed well, the protective film that is left behind feels velvety and soft. ♦ The Anti-Aging Eye Cream Éclat de Rose from Cattier is another multi-functional product. As mentioned above the cream contains red algae extract to boost microcirculation in the skin which helps to reduce dark circles and puffiness. Butterfly lavender relaxes micro-contractions in the skin so it has a light smoothing effect – it also increases the skin’s hydration levels – while buckwheat extract and argan oil have antioxidant and moisturising properties. Like the other products in the Anti-Ageing range the eye cream has a supple and non-greasy texture which isn’t too liquid either. It leaves a very soft film on the skin and is probably responsible for the skin-firming effect which is immediately visible. Fragrance-free. ♦ A mask can be so much more than just a mask! I was really surprised when Ebba told me that she uses the Smoothing Intensive Radiance Mask from Cattier as an anti-wrinkle cream, especially on the tiny wrinkles underneath her eyes. The reason for this wrinkle-smoothing effect is fern extract from New Zealand which forms a light film on the skin and therefore offers a slight skin-tightening effect. Pomegranate enzyme (which remains stable even in the creamy texture) boosts cell-regeneration. I apply a layer of the mask on the entire face; after ten minutes most of the product has been absorbed into my skin. I remove the rest of the mask with a cotton wool pad saturated in facial toner. My skin feels plump and hydrated, with increased blood circulation (but without redness). DIY tip: I already mentioned that the Smoothing Mask is a multi-functional product. You can also use it to create your own face, neck and decolleté mask if you like: blend the mask with a dash of oil (like Cattier’s Dry Oil) and apply the mixture on cleansed skin. After ten minutes remove the rest of the mask with hot compresses. And voilá, salon treatment at home 🙂 . In conclusion: skin aged 40+ is just as individual as younger skin. Not every woman needs a lipid rich moisturiser during her menopause; some skin types prefer a lighter product or even just a serum with a cooling effect. Most skin types tend to be a combination of different elements anyway so you can easily switch between products from Cattier’s two different ranges – just listen to what your skin needs. 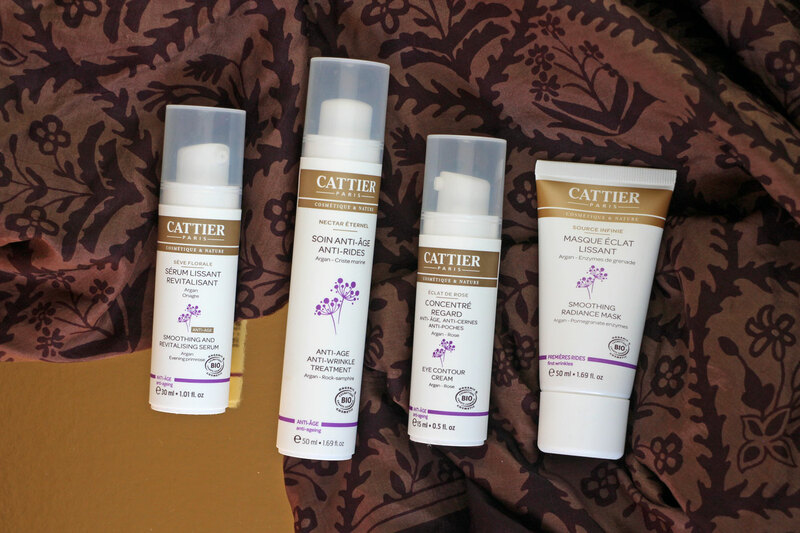 All products from Cattier Paris are certified by Ecocert/Cosmebio. You can buy them through Kneipp’s online store (Cattier has been a subsidiary of German brand Kneipp since 2011) and in selected organic supermarket, Müller Naturshop drugstores and other online stores. The name Antioxidant Energiser Booster Ampoules didn’t sound particularly exciting but the active ingredient in this ampoules immediately caught my attention: strawberry seed oil! Wow! I simply had to buy these ampoules. I’m a big fan of this light-textured plant oil – I bought a whole bottle of strawberry seed oil this January in a Nuremberg delicatessen store. In Madára’s Booster Ampoules the strawberry seed oil has been combined with antioxidant tomato extract. I apply the herbal-scented Booster oil on damp skin; it is easily absorbed and doesn’t leave an oily film. 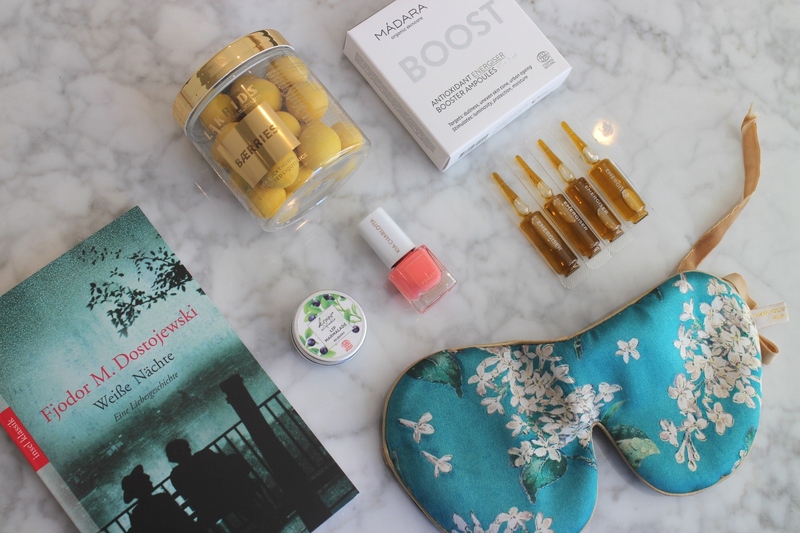 One ampoule contains enough oil for four applications; at least on my skin.You can buy the Mádara ampoules online, for example through Wolkenseifen. And I definitely had to pack the nail polish from Kia Charlotte in shade „A Wildflower“! The reason: Kia Charlotte’s founder Kia Lindroos is from Finland; she launched her vegan beauty brand in Munich together with her partner. Kia Charlotte offers a range of nail polishes; I particularly like the small size of the bottles which means that you can easily try out new colours. Every shade has a special name; „A Wildflower“, for example, wants to encourage you to occasionally try out new things in life, like a wild flower. The colour is a vivid coral red with orange undertones rather than pink. The applicator brush is narrow; I apply two coats of the polish to get good coverage. This Finnish-German nail polish is also one of the products I have featured in my summer look for online store Najoba. I received the nail polish from Najoba. 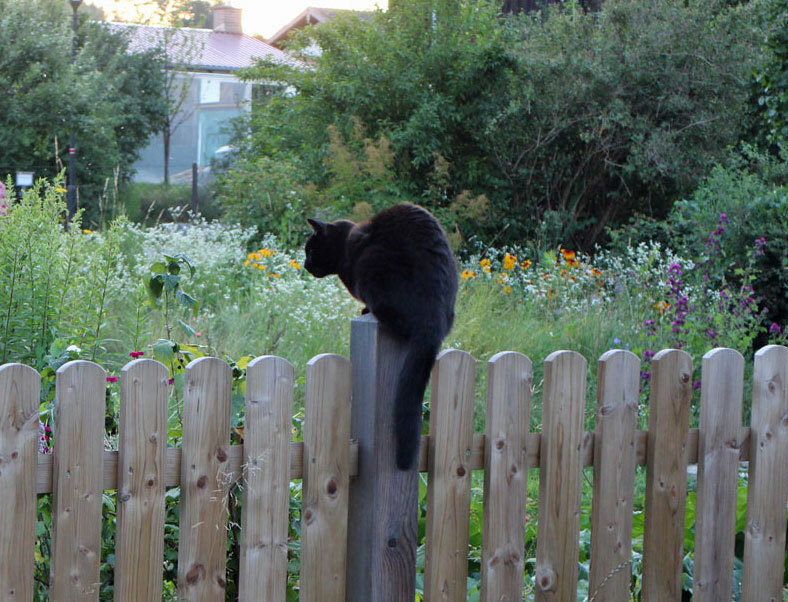 The landlady of my little flat in the Design District had warned me in advance: during the summer months her flat is really bright, even at night time – after all, it is midsummer season in Finland at the moment and the sun is shining at least 18 hours per day. Helsinki’s summer nights tend to be short and light, so I definitely had to pack my trusty sleeping mask from Holistic Silk. It’s super soft, generously cut and very comfortable – I have already shown it on the blog here. And what book could be more suitable for the bright, sunny days in Helsinki than the novel White Nights from Russian author Fjodor Dostojewski! Of course the novel is set in St. Petersburg and not Helsinki but St. Petersburg isn’t that far away – the city is also located on the Baltic Coast, just like Helsinki. My attic flat even had a little rooftop terrace so I spent my evenings sitting on the terrace, reading my book and not paying attention to my smartphone at all 😉 . The sun rises at 4am each morning and sets at 11pm which almost counts as White Nights. And yes, I do love to read classic literature. And my favourite snack whilst reading is liquorice – more on that further down. The Lip Marmalade Bilberry from Latvian brand Kivvi (which is famous for its Body Marmalades) has a light pink colour; I brought the lip balm with me from Germany because bilberry is such a Nordic summer berry! The Lip Marmalade has a beautifully fruity berry scent, it contains bilberry and rowan berry (another traditional Nordic ingredient) and is based on shea butter and castor oil. The texture is more oily than waxy. In Germany you can buy the lip balm at Hilla Naturkosmetik. I mentioned this above: sitting on a rooftop terrace, reading books and eating licquorice goes so well together! Unless it’s raining, of course 😉 . And I absolutely love Danish liquorice brand Lakrids by Johan Bülow with its chocolate-covered liquorice balls. This summer the brand has launched a limited edition: in Baerries the liquorice is wrapped in white chocolate flavoured with sea buckthorn. Mmmmh, I really like the sour-fruity chocolate shell with its soft liquorice filling… The second new summer edition is blueberry-flavoured, by the way. In Helsinki you can buy Lakrids at Stockmann department store (which is where I bought my jar); in Germany the brand is available in selected chocolate stores, in the company’s Lakrids boutiques or online. Here is the homepage of Lakrids. And now I wish you a beautiful summer weekend! Whilst I am writing these lines the gulls are swooping through my street and are screeching like crazy. Helsinki is always wonderful! Good-bye everyone and see you soon!